There’s no need to worry in case you don’t know which iPad you have. It is possible to identify them by making use of model numbers, screen sizes, ports, colors and other markers. To compound the problem, it isn’t even as simple as numbering the models from iPad 1 onwards for instance. 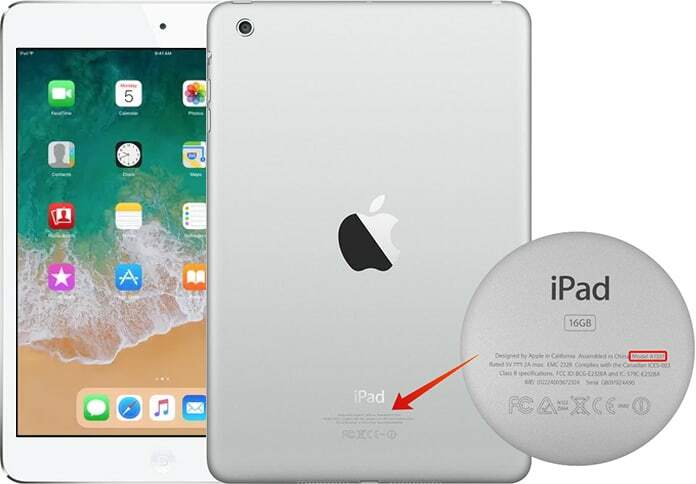 In addition, during the sale the device is just advertised and sold as an iPad; such generic terminology doesn’t help to identify it properly. 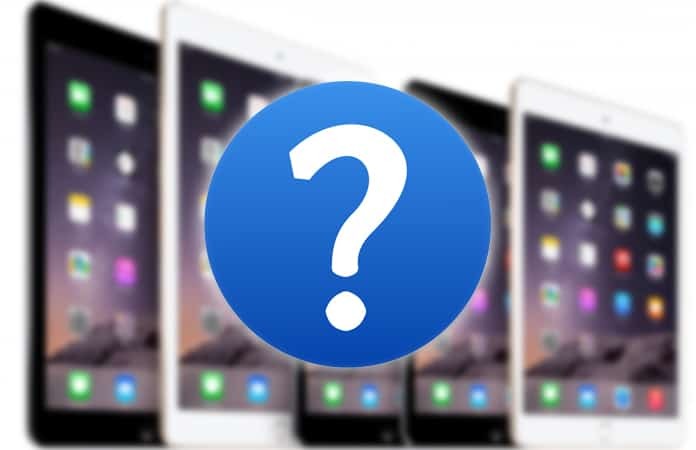 Today we are going to teach you how to identify iPad model by its version number, SN, IMEI or hardware specs. Apple has never just written the model name and generation on the iPad; instead, there is a model number marked there to help identification. The model number is labeled with a ‘Model’ but it is often called the A number. For example, if it is A1632, we can tell what kind of iPad it is and some of its specifications. It is also possible to find this information out by going to Settings -> General -> About. In the Model row, you should see the M number which is also useful for identification purposes. However, it may be simpler to tap on it and change it to an A number. iPad 1 A1219 (Wi-Fi), A1337 (Wi-Fi + 3G) 9.7-inch screen. Old 30-pin connector. No camera apertures. Available with black front and silver back color. Released in April 2010.
iPad 2 A1395 (Wi-Fi), A1397 or A1396 (Wi-Fi + 3G) 9.7-inch screen. Old 30-pin connector. Available in white and black front and silver back color. Released in March 2011.
iPad 3 A1416 (Wi-Fi), A1430 or A1403 (Wi-Fi + 3G) 9.7-inch screen. Retina display. Old 30-pin connector. Available in black or white. Released in March 2012.
iPad 4 A1458 (Wi-Fi), A1459 or A1460 (Wi-Fi + 3G) 9.7-inch screen. Retina display. 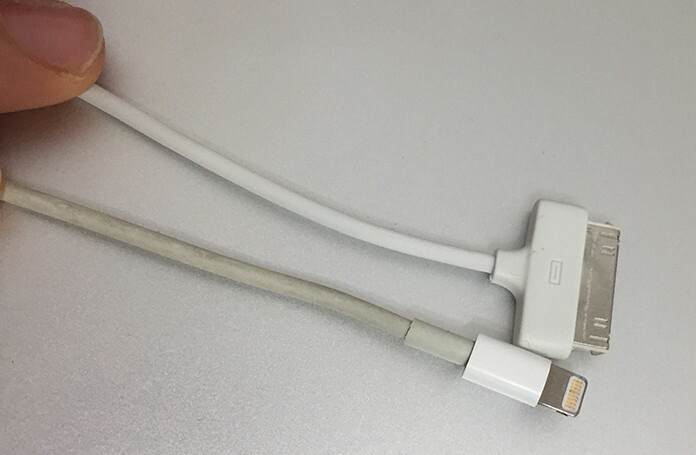 Lightning connector at the bottom. Available in white and black color. Released in November 2012.
iPad 9.7″ (2017) A1822 (Wi-Fi), A1823 (Wi-Fi + 3G) 9.7-inch screen. Retina display. Lightning connector. Available in Space Grey silver or gold. Released in March 2017.
iPad Air 1 A1474 (Wi-Fi), A1475 (Wi-Fi + 3G) 9.7-inch screen. Retina display. Lightning connector. Available in black and white. Released in November 2013.
iPad Air 2 A1566 (Wi-Fi), A1567 (Wi-Fi + 3G) 9.7-inch screen. Retina display. Lightning connector. Touch ID. Available in Space Grey silver and gold. Released in October 2014.
iPad mini 1 A1432 (Wi-Fi), A1454 or A1455 (Wi-Fi + 3G) 7.9-inch screen. Lightning connector. Available in black and white color. Released in October 2012.
iPad mini 2 A1489 (Wi-Fi), A1490 (Wi-Fi + 3G) 7.9-inch screen. Retina display. Lightning connector. Available in black and white. Released in November 2013.
iPad mini 3 A1599 (Wi-Fi), A1600 (Wi-Fi + 3G) 7.9-inch screen. Retina display. Lightning connector. Touch ID. Available in silver, Space Grey gold and gold. Released in October 2014.
iPad mini 4 A1538 (Wi-Fi), A1550 (Wi-Fi + 3G) 7.9-inch screen. Lightning connector. Touch ID sensor. Retina display. Available in silver, Space Grey and gold. Released in September 2015.
iPad Pro 12.9″ A1584 (Wi-Fi), A1652 (Wi-Fi + 3G) 12.9-inch screen. Retina display. Lightning connector. Smart connector. Four speakers. Available in silver, gold and Space Grey. Released in September 2015.
iPad Pro 9.7″ (2016) A1673 (Wi-Fi), A1674 or A1675 (Wi-Fi + 3G) 9.7-inch screen. Lightning connector. Retina display. Smart connector. Available in silver, gold, Rose Gold and Space Grey. Four speakers. Released in March 2016.
iPad Pro 10.5″ (2017) A1701 (Wi-Fi), A1709 (Wi-Fi + 3G) 10.5-inch screen. Lightning connector. Smart connector. Retina display. Available in silver, gold, Space Grey and Rose Gold color. Four speakers. Released in June 2017.
iPad Pro 12.9″ (2017) A1670 (Wi-Fi), A1671 (Wi-Fi + 3G) 12.9-inch screen. Retina display. Lightning connector. Smart connector. Available in silver, gold and Space Grey color. Four speakers. Released in June 2017. You can also find iPad model by IMEI code or Serial number. You can easily find your IMEI or SN by going to Settings -> General -> About. After that, submit it to our IMEI checker tool and you can see the iPad generation, model, iCloud status, block status, carrier and simlock status. Another way to distinguish between different iPads is the dock connector at the bottom. The old 30 pin dock is much wider and easily identifiable. The new Lightning dock is much slimmer and sleeker. This is a great way to know the difference between an iPad 3 or 4. In addition to this, this information is useful because the Lightning port was incorporated in September 2012. If your iPad has a 30 pin connector you know it has seen a few years of usage. The iPad Pro series is very easily identified by its four speaker audio. Normal iPads all just have twin speaker audio and two speakers arranged on both sides of the Lightning/30 pin docks at the bottom of the device. However, the iPad Pro models all have four speakers instead, of which two are at the bottom and two are at the top. To be completely sure, just check if the speaker grills are at opposite ends of the Home button. If they are then you can be totally sure that it is one of the iPad Pros. The Retina display offers much clearer and higher resolution viewing. This will give you a much greater viewing experience and the difference in quality between the two will actually be quite stark. On the other hand, if you don’t have two different iPads to actually compare for a difference, it will be a little tricky to manage. The Retina display was made the norm after the 3rd generation iPad back in March 2012. It was replaced pretty soon, because of the fact that it offered LTE 4G in the USA, this LTE wasn’t available in most other countries, even nations like the UK. There are some iPads that only support WiFi while there are others that even allow you to make use of mobile activity. That is of course, as long as there is a SIM card inserted. It is really easy to tell if your iPad supports mobile connectivity simply by checking for a SIM car slot in the side of the body. If there isn’t one you can safely assume that it is a WiFi only model. The 3rd gen iPad offered LTE 4G but only in the US, as we just mentioned. People in the UK had to wait for the iPad 4 to use 4G. So, if you purchased a WiFi and Cellular iPad at the end of 2012 or start of 2013 then it is most probably 4G. Lastly, we have the storage of the device. Unlike most other information related to the iPad, this is much more easily available. The storage capability of a device can be easily found out simply by taking a look at the back of the iPad. Most iPads will have memories in 32GB, 64 GB or 128 GB. On the other hand, in case the markings are faded or illegible you can find this piece of information out simply through the Settings app as well. Go to Settings -> General -> About and go to the row where it says Capacity. The memory should be displayed there. The amount of storage for a device is a great way to know more about it. It offers numerous clues and pieces of information on what kind of iPad. However, the fact of the matter is that there have been so many numerous storage amounts offered to customers that it has become a little hard to keep track of each and every one of them. Add to this the fact that some memory offerings got discontinued after some time. As a result, it’s often much simpler and easier to just use the Model number. There is one very prominent marker here, however. 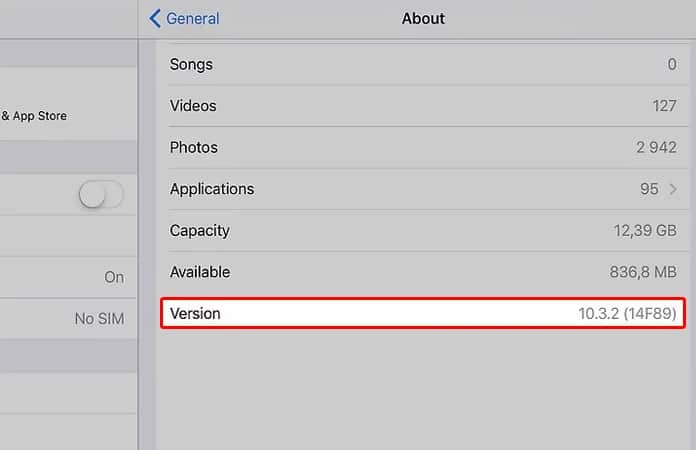 If your iPad has a storage of 512GB then you can sure that it is from the very latest generation of iPads, the iPad Pro models to be more specific. This is because this amount of storage has only been introduced just very recently so can be a great way to identify iPad model. Was this helpful in identifying and getting to know the iPad model and specs of your Apple device? Please do let us know in the comments below!